Chaque membre se concentre intentionnellement sur cette improbable interaction spontanée entre le public et le performer, ce je-ne-sais-quoi qui emmène l’audience vers un état second. Les fréquences sombres et primales sont autant ressenties qu’entendues, une batterie inlassable fait naître et mourir toute une galerie de personnages vocaux, offrant un guide astral face à l’ensemble de ces manipulations vertigineuses. A consistently blistering live outfit, the duo of Jussi Brightmore and drummer Tom Fug crated GUM TAKES TOOTH in 2009 and quickly established a unique approach whereby drum-triggered electronics are manipulated to achieve a dynamic, rhythmically driven and flagrantly unclassifiable fury that has flirted with both speaker-ripping psych-rock pyrotechnics and synapse-shredding acid house deliverance whilst stubbornly avoiding any of the trappings or cliches of either. Forging their own distinct geometric trajectory through two albums in 2011’s ‘Silent Cenotaph’ and 2014’s ‘Mirrors Fold’, their polyrhythmic sleight-of-hand proved itself as much a strength as their unique take on vocal processing. 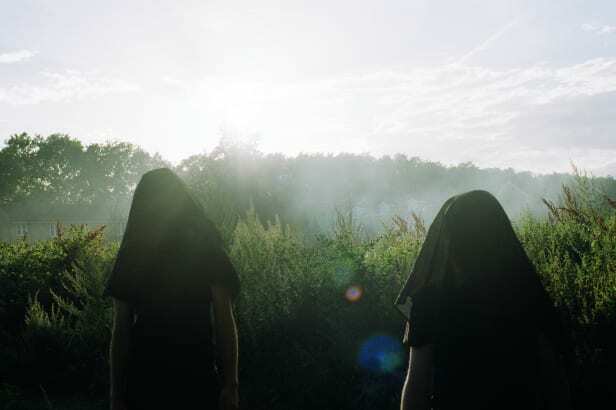 Thus, the band mapped out a landscape in which the influences of Coil, Warp Records, The Knife and Lightning Bolt were alchemically transformed into an innovative and pulverising onslaught. Mavericks to the last, perpetual square-pegs and a band intent on forging onward to break all or any paradigms before them, Gum Takes Tooth have created a collection of kinetic anthems to battle everyday oppression their forthcoming album, ‘Arrow’; a searing and visceral work of machine-driven mania suffusedby melancholy and elegiac atmosphere with its very human heart on its sleeve. The band have played amazing sets at Supersonic Festival (UK), CTM Festival Berghain (DE) and Villette Sonique Grand Halle de la Villette (FR).